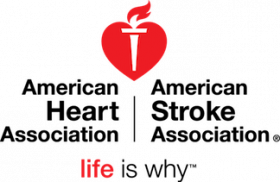 The American Heart Association (AHA) has an excellent opportunity for a Fundraising Director (Youth Market Director) in our Dallas OR Fort Worth office. Under the direction of the Youth Market Manager, the Fundraising Director is responsible for implementing the American Heart Association's American Heart Challenge events. This position works with school based coordinators, (typically the PE Teacher) and the school principal to raise funds through our school based educational fundraising program in secondary schools. The Fundraising Director will act as the American Heart Association liaison with superintendents, district staff, and school-based staff in a territory that is between Dallas and Fort Worth. This position requires you to be in the territory 85% of your time. We offer a yearly salary, a yearly incentive for exceeding the fundraising goals for the position, travel reimbursement and a great benefits package. Position can be in office (in Dallas or Fort Worth) or home based. Related experience may be substituted as follows: 1 ½ years’ experience equates to 1 full time year of higher education.